Pain has often been described as the ‘unpleasant sensory and emotional experience that is associated with either actual or potential tissue damage’. It ultimately serves the body as a protective mechanism, designed to withdraw you from physically harmful situations and allow healing to take place. Interestingly, pain also initiates a learning effect, essentially teaching you to avoid those same painful situations in the future. While this may seem like a good thing, this isn’t always the case. You see, pain does not always correspond to physical injury or tissue damage within the body. In fact, it is not uncommon for people to develop an oversensitive pain response in certain situations, even when there is no real danger present. This can lead to the development of chronic pain. Pain in an acute sense is a very normal protective response to potentially harmful stimuli. Think about if you put your hand on a hot stove. It would burn, you would feel pain, and you would then remove your hand. This is a pretty effective acute pain response. Now, if you have pain that persist for more than three months in duration, it is classified as chronic pain – and this is something entirely different. Chronic pain is due to the chronic and repeated activation of specific nerve cells that transmit pain signals to the brain (known as nociceptors, for those of you nerds at home) in the previously injured area. Interestingly, while this can happen in the scenario where chronic tissue damage is present (for example, joint pain), it can also occur even if there is no longer any tissue damage remaining, and subsequently no physical reason for that pain to be present. This is because the cause of chronic pain is incredibly complex. It is thought to be the due to changes in the nervous system that occur in conjunction with health and hormonal factors. Moreover, research has shown that both psychological influences and inflammation can also play a role. This means that there is often an emotional aspect to chronic pain, that can occur in conjunction with several other physical factors. Now fortunately for us, a number of specific natural remedies have been identified to help fight chronic pain and get you back on track. As a result, we have collected those that have the most research to support them, giving you one of the most comprehensive lists on the planet. Inflammation has been shown to be a key driver for chronic pain. Systemic inflammation throughout the body and within the previously damaged tissue can stimulate nociceptors, causing a heightened pain response in almost any scenario. Fish oil has been shown to act as a potent anti-inflammatory. Subsequently, there is evidence suggesting that it can act as a potent natural pain killer, reducing sensations of both acute and chronic pain . 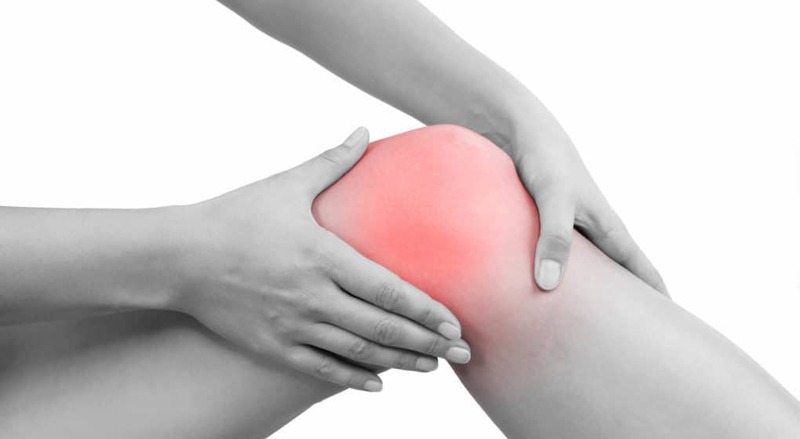 Interestingly fish oil also contains an abundance of healthy fats which have been shown to improve joint health to reduce chronic joint pain and improve upon joint health in those individuals who suffer from arthritis . While this method is far from the most pleasant, it does appear to be one of the most effective. Like fish oil, cold exposure (think ice baths, cryotherapy chambers, and even cold showers) has been shown to cause significant reductions in inflammation throughout the body . Amazingly, this type of therapy has also been shown to cause the secretion of compounds known as cold-shock proteins within the body, which can enhance tissue healing and further reduce inflammation, thus improving pain . Turmeric is a popular spice that originates from India and gives curry its bright yellow colouring. Turmeric is so amazing because it contains curcumin, a key compound that has been garnering a lot of attention within the health industry of late as it has been shown to have several impressive health benefits – one of which revolves around its ability to decrease chronic inflammation. The supplementation of curcumin has been shown to reduce the secretion of inflammatory cytokines, reducing the severity of the inflammatory process, and therefore causing significant reductions in pain . Many people who suffer from chronic pain fall into a trap where they become fearful of exercise, and subsequently avoid it because they think it is going to make their pain worse – however nothing could be further from the truth. Exercise has been shown to strengthen key muscle tissue, promote blood flow throughout the body, and help reduce chronic inflammation, all of which can have an extremely positive impact on individuals suffering from chronic pain . Also known as frankincense, Boswellia is an important herb that has been used for centuries in traditional medical practices due to its impact on pain. This potent anti-inflammatory has been shown to reduce pain throughout the body while simultaneously blocking harmful inflammatory substances from entering the body’s joints. As a result, it is an excellent compound for both people in general chronic pain, and for those who suffer arthritic related joint pain and rheumatoid arthritis . MSM is an organic sulphur found within variety of fruits and vegetables that has become increasingly popular in the health industry of late, as it has shown to act as a potent antioxidant and anti-inflammatory compound within the human body. With this in mind, it has been shown to act as a potent remedy for natural pain, while also demonstrating positive effects on both arthritis and other related joint pains . It truly is one of the most potent natural pain killers on the planet at the moment. Participating in the act of meditation and other mindfulness practices has been shown to exhibit positive effects on the brain and nervous system, essentially downregulating hypersensitive neurons and limiting the oversensitive action of nociceptors. Through these mechanisms, both been shown to have a seriously positive effect on chronic pain, reducing the severity and frequency of the pain response in individuals who suffer from regular and prolonged chronic pain . Vitamin D is an incredibly important nutrient that plays a variety of roles within the human body, assisting in hormone production and aiding in nervous system function. Interestingly, it has also been shown to have an impact on pain. You see, people who suffer from chronic muscle and joint pain, frequent headaches, and even fibromyalgia (an increasingly common chronic pain disorder) often have associated deficiencies in this amazing vitamin. With this in mind, the supplementation of Vitamin D has been shown to have a positive effect on those individuals suffering from chronic pain, reducing sensations of pain while increasing quality of life . Yoga is a unique form of exercise that essentially combines muscle strengthening activities with stretching to increase muscle strength and flexibility, and mediation, to improve emotional and mental wellbeing. As a result of the combination of these unique factors, yoga has been shown to have an extremely positive impact when it comes to reducing inflammation, downregulating neural hyperactivity, and therefore reducing chronic pain . Chronic pain can be the result of several different factors. While it can be the result of physical tissue damage, this isn’t always the case, with inflammation, nervous system hyperactivity, emotional wellbeing, and a lack of muscle strength also playing a role. These have been shown to have a positive effect in several different scenarios, protecting against chronic muscle, joint, and bone pain, while also reducing inflammation, limiting low back pain, and improving quality of life. So, what are you waiting for? Give them a go and get back to us!